LED Bottle Stopper Light and Mason Jar Lid Light help set the mood for any time and occasion. LED Lighting is ideal for setting moods. Long-lasting and energy-efficient. LED Bottle Stopper provides a white light. Built-in battery can be charged by plugging unit into the USB port of your PC. Lasts approx. 2 hrs. on a full charge. Fits most wine or similar bottles. Works best in light colored bottles. White plastic stopper looks like ceramics. Top is covered with real cork. Turns on or off by turning light cover. Charge before using. Has red charging light. Stopper is 2-3/8"L. Top is 15/16" diameter and the light is 7/16" diameter. Bottle not included. 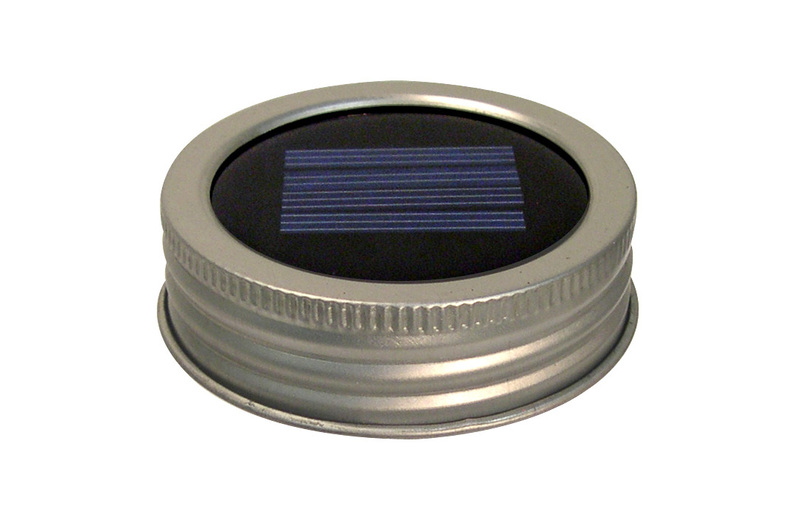 MASON JAR LID LIGHT Is Solar Charged. Galvanized silver metal lid fits canning jars with approx. 2-5/8" mouth. Includes bright white LED. LED light uses one AAA rechargeable battery (not included). Light sensitive - turns on and off automatically. Unit also includes on-off switch. Jar not included. Can be used outdoors with lid tightly secured to jar. 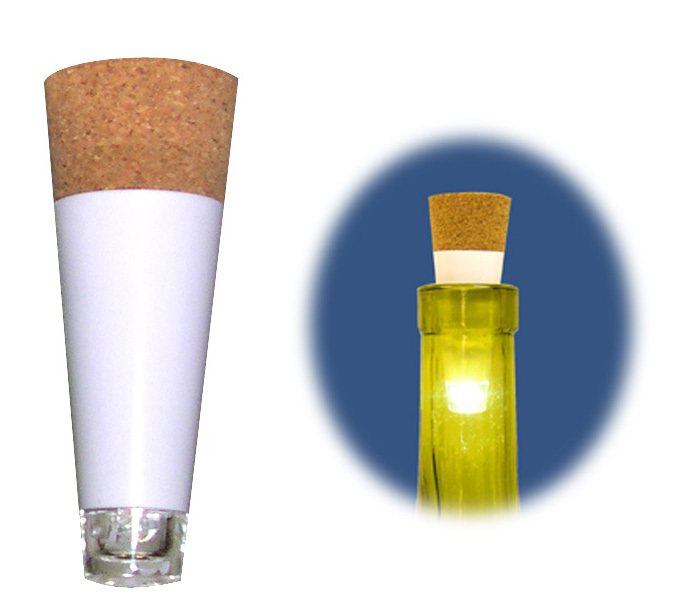 LED Bottle Stopper provides a white light. 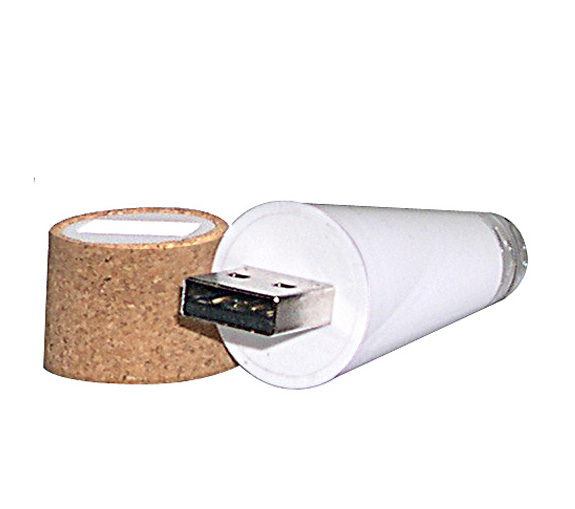 Built-in battery can be charged by plugging unit into the USB port of your PC. Fits most wine or similar bottles. White plastic stopper looks like ceramics and the top is covered with real cork. 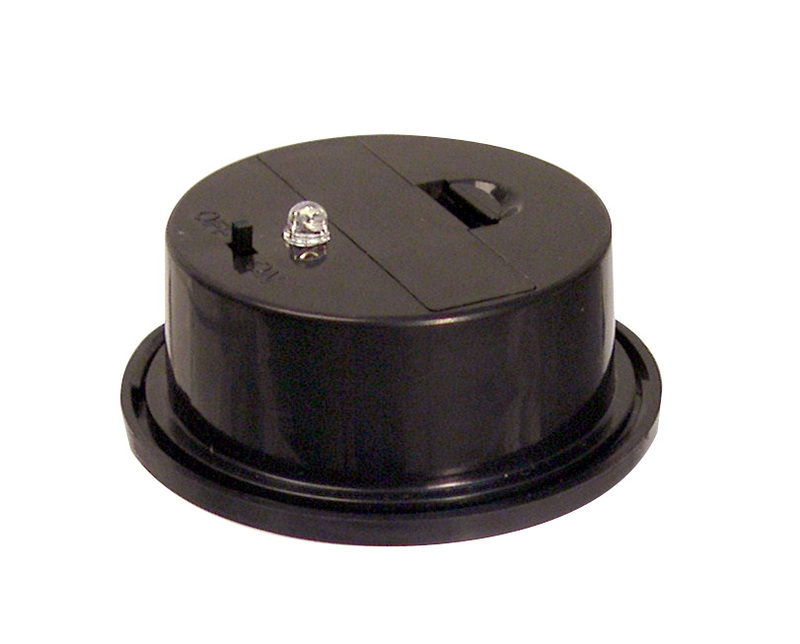 Stopper is 2-3/8"L. Top is 15/16" diameter and the light is 7/16" diameter. 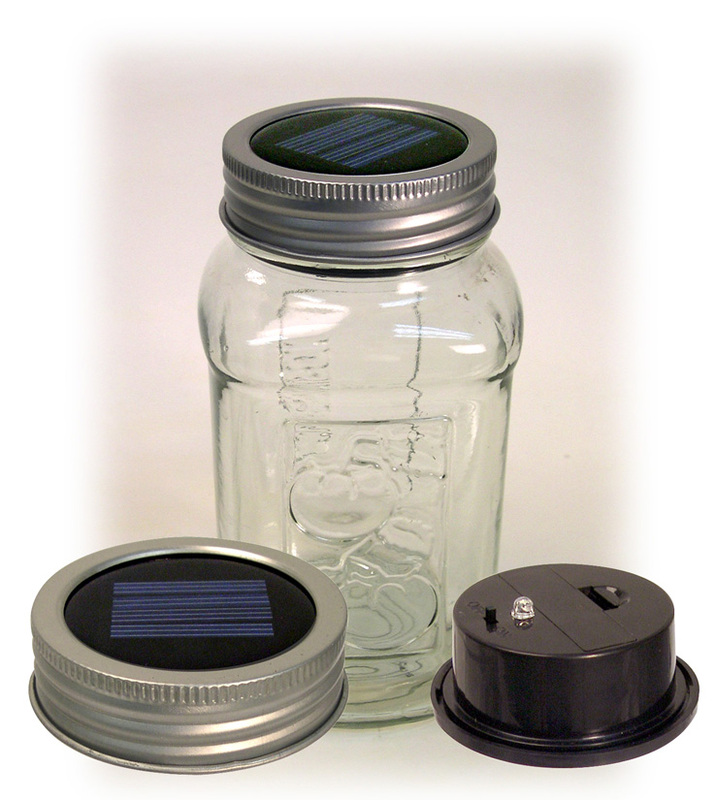 MASON JAR LID LIGHT Is Solar Charged. Galvanized silver metal lid fits canning jars with approx. 2-5/8" opening. Includes bright white LED. 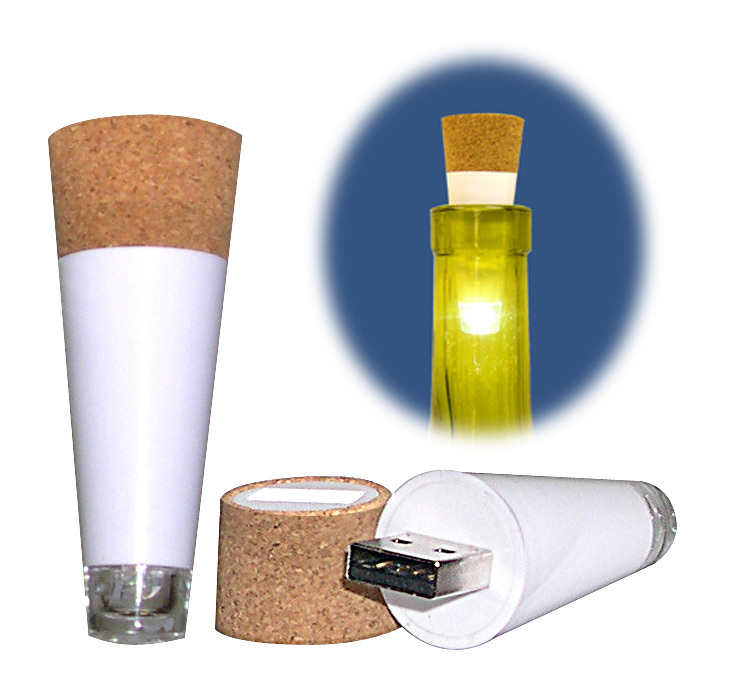 LED light uses one AAA rechargeable battery (not included). Light sensitive - turns on and off automatically. Unit also includes on-off switch. Can be used outdoors with lid tightly secured to jar.